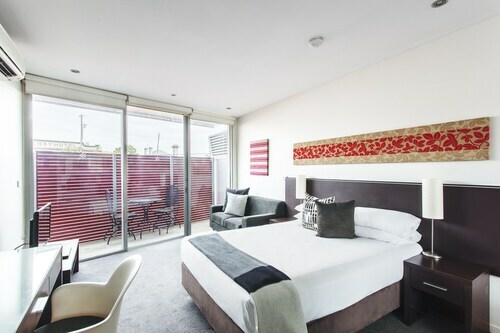 Situated on the boardwalk, this aparthotel is within 9 mi (15 km) of Altona Beach, Flemington Racecourse, and Marvel Stadium. Melbourne Convention and Exhibition Centre and Spirit of Tasmania Ferry Terminal are also within 9 mi (15 km). Williamstown Station is 9 minutes by foot and Williamstown Beach Station is 14 minutes. 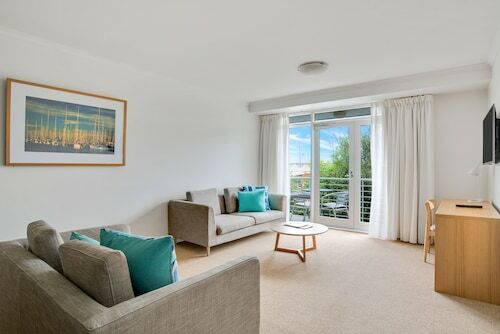 Situated on the waterfront, this apartment building is 3 mi (4.8 km) from Altona Beach and within 9 mi (15 km) of Melbourne Convention and Exhibition Centre and Spirit of Tasmania Ferry Terminal. Flemington Racecourse and Marvel Stadium are also within 9 mi (15 km). North Williamstown Station is 18 minutes by foot and Williamstown Beach Station is 29 minutes. 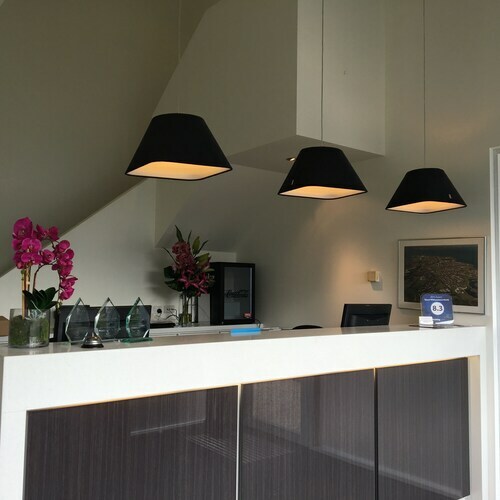 Situated near the bay, this apartment building is within 9 mi (15 km) of Altona Beach, Marvel Stadium, and Melbourne Convention and Exhibition Centre. Flemington Racecourse and Spirit of Tasmania Ferry Terminal are also within 9 mi (15 km). Williamstown Beach Station is 13 minutes by foot and Williamstown Beach Station is 13 minutes. These apartments are located throughout the area in Williamstown. 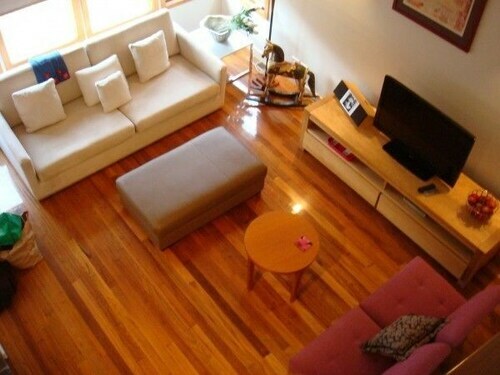 Situated in Williamstown, this luxury bed & breakfast is within 9 mi (15 km) of Altona Beach, Flemington Racecourse, and Marvel Stadium. Melbourne Convention and Exhibition Centre and Spirit of Tasmania Ferry Terminal are also within 9 mi (15 km). Williamstown Beach Station is 14 minutes by foot and Williamstown Beach Station is 14 minutes. 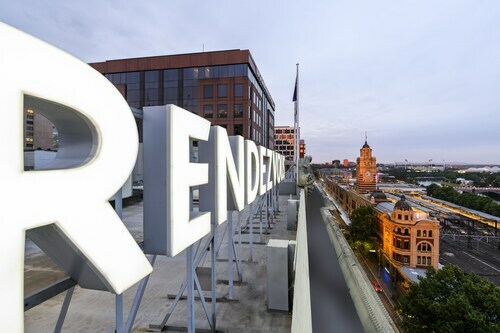 This attractive and interesting suburb lies only 9 kilometres outside of Melbourne's CBD and is packed with things to do. Whether you're a history buff, a fan of the arts or a foodie, you will find lots to make you smile in Williamstown. You can even see places that appeared in the TV show 'Blue Heelers'. With a charming atmosphere and many pretty views, it's no surprise that Williamstown is a popular place for visitors. Spend longer enjoying this lovely part of Victoria with one of our great Williamstown hotels. Williamstown has a long and varied history, and Indigenous groups called the area home long before colonists arrived. It was an important site for gold mining before becoming the tourist attraction it is today. With the atmosphere of a maritime settlement, Williamstown has retained a pleasant feeling. Visit old moored boats and the Maritime Museum to learn more. There are several piers from which you can enjoy the views; many with great attractions close by. For some relaxation head to Williamstown Beach, where you can relax on the sands, paddle on the sand bar and swim in the ocean. The waves are sometimes big enough for surfing. There are numerous historic buildings and heritage sites to explore, including the convict built Tide Gauge House, Customs House, the ornate Wilkinson Memorial Drinking Fountain, the Town Hall, the Lighthouse, and the eerie Old Morgue. There are a number of former grand and elegant hotels as well as old houses and boatyards. Fort Gellibrand was an important place during colonial times. It's never hard to find somewhere to eat and drink in Williamstown so check out Nelson's Place with its fab eateries and views, or Ferguson Street with its many restaurants, cafes and shops. And, of course, the fabulous sights of Melbourne itself are all within easy reach. Several festivals are held in Williamstown throughout the year, so there's always plenty going on. Get your Williamstown accommodation booked to secure one of the best spots, and while you're at it have a look at our cheap flights to Melbourne for some of the best deals around. How Much is a Hotel Room in Williamstown? Hotels in Williamstown start at AU$182 per night. Prices and availability subject to change. Additional terms may apply.